Does your home need your whole house surge protector installed, repaired, or replaced? Contact us for assistance today! The average life expectancy for an electric range is 13 to 15 years. The challenge is most appliances like an electric range get hit with 20 power surges per day. The vast majority of them are micro surges. They are so micro; no one even knows they happen. Except for your electric range that is. Over time these micro-surges kill up to 30% of your appliances life expectancy. That 13 to 15 years of use just shrunk to 9-10 years. If you want to get more life out of your appliances and electrical devices, you need to protect them from these surges. Most people read repair your surge protector and ask, “why would I ever need that?” They are right. 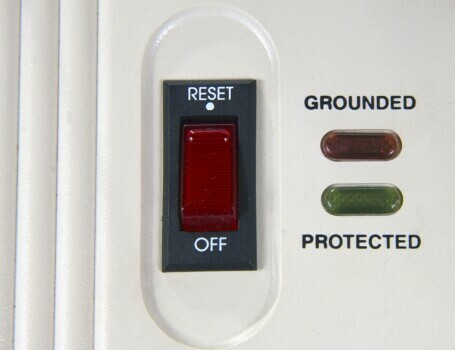 Most of the surge protectors’ consumers use are too small for repairs. So, let’s explore two kinds of surge protectors available before we discuss repairs. 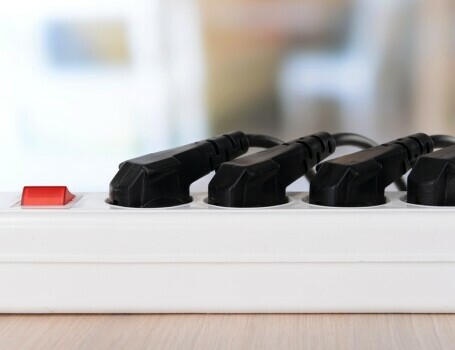 If you plugged in a surge protector into an outlet, it is a point of use surge protector. Many people use this device for a wide array of home and/or office protections. The garden variety surge protector (also called a surge suppressor or surge diverter) has six outlets and a 3-prong Power Plug. 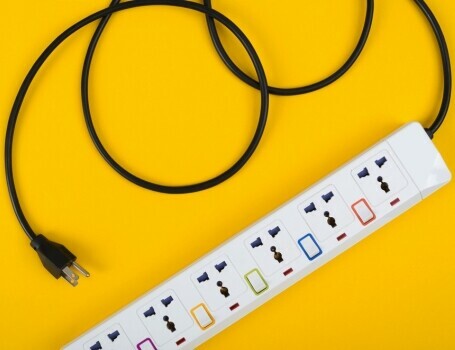 Your standard surge protector can absorb between 200 to 400 joules of power. Higher end suppressors can stop up to 600 joules. You need point of use protectors in your home. However, if you want to block transient surges from the electrical grid, you need a whole house surge protector. These surge diverters stop electrical surges from entering your home before it hits your home’s main electrical panel. By protecting your panel, you protect your home from dangerous surges outside your home. You still need to defend yourself with point of use devices. 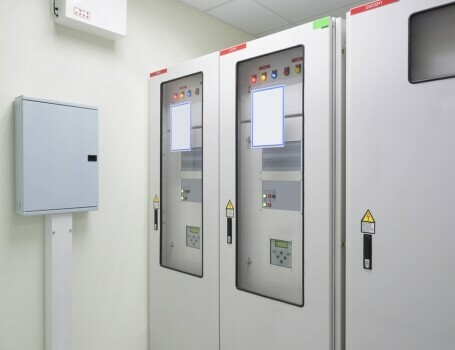 Often surges come from the main electrical panel or faulty whole house surge protectors. Note: the point of use device repairs will probably cost more than buying a new one. Dispose of it properly and replace it. If you have any questions about how to repair your surge protector, then contact Mister Sparky for a free assessment to determine the next steps. Frequently when you repair the electrical system around the power surge, you end up having to replace surge protector as well. At Mister Sparky we understand which suppressors keep your home safe. You use our recommendations to create a comprehensive safety plan with point of use and whole house protectors for your home. All the new technology today comes at a cost. It is consuming more energy than in the past. That means homes (especially older ones) must adjust their power consumption to fit the needs of the occupants. 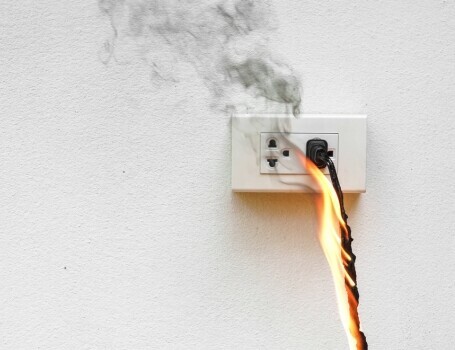 Let us know how we can keep your growing list of electrical appliances safe. Between the home automation, smart homes, and computer revolution, energy needs are growing at a rapid rate. It is part of the reason the EIA predicts world energy use will increase another 28% by 2040. Replacing older surge diverters with newer models can reduce the number of surges that come from more power. We mentioned above how protecting your entire home from power surges requires a whole house surge protector. Unlike point of use devices, you need to install this professionally. It is not a plug and play type device. If you need an expert adept at working with whole house surge protectors, then contact us at Mister Sparky’s. 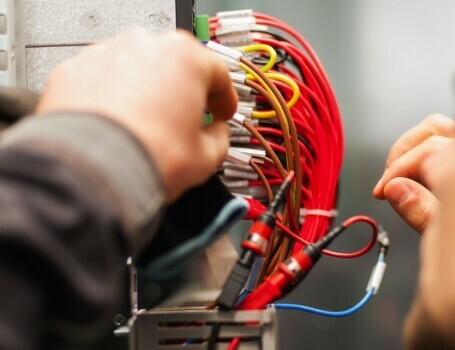 Our electricians safely install these devices to protect your home from damaging electric surges. Have a professional help you install your whole house surge protector. Over the past two decades, Mister Sparky has helped countless families install these devices in their homes. Let us keep your family safe by upgrading your whole house surge protection today. How Can Our Professional Electricians Repair, Service, or Install Your Whole House Surge Protector?